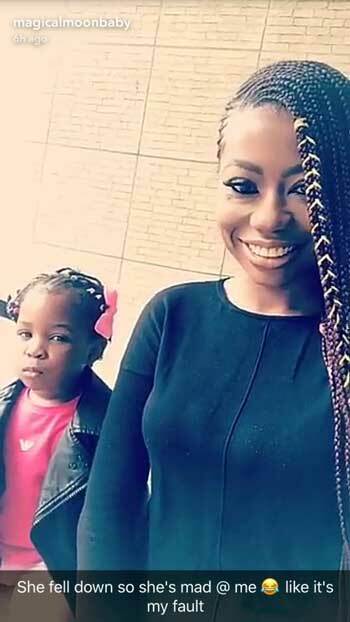 Davido’s baby mama, Sophia Momodu shared some lovely photos of her cute baby girl, Imade Adeleke. 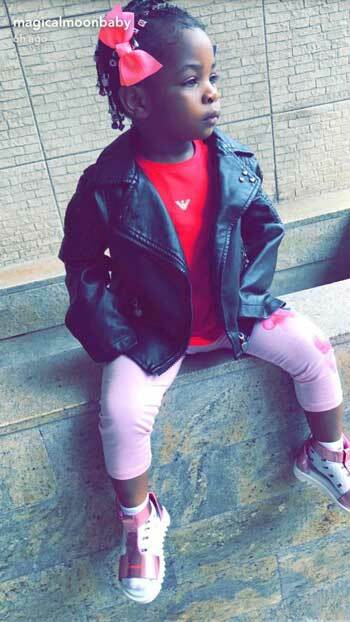 Davido‘s first daughter showed off her cool swag in the photos shared by her mom on her Snapchat account. 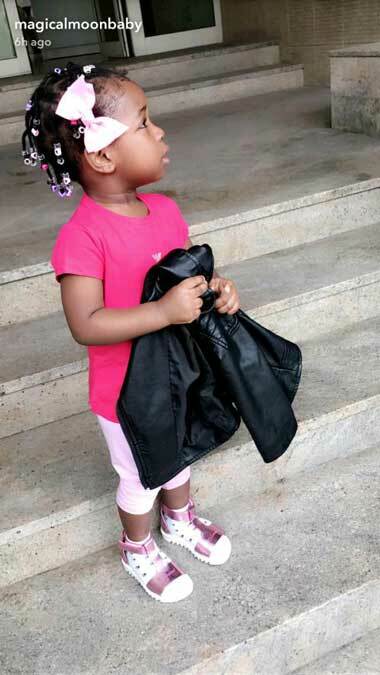 Imade was dressed in a fuchsia top on baby pink pants with matching pink shoes. 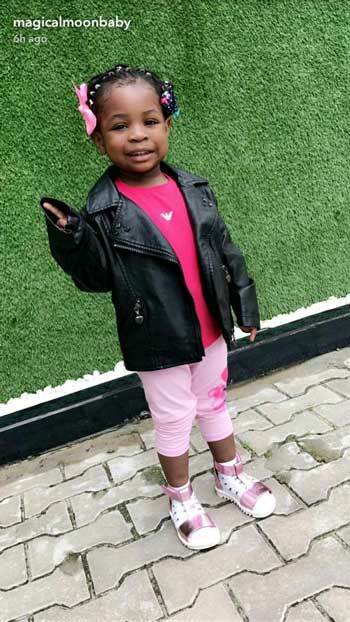 The three year old, who went on a playdate with her mom, toned down the all-pink look with a black leather jacket. 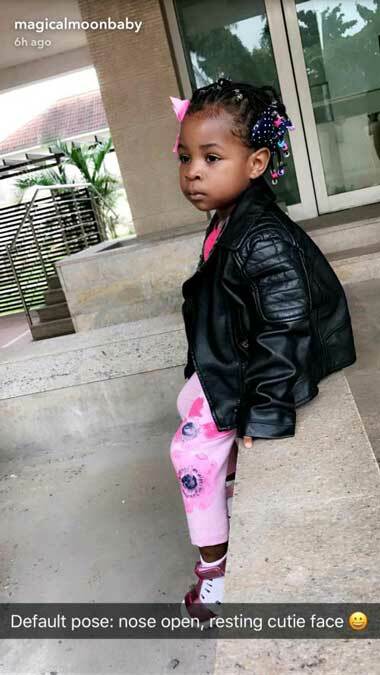 In one photo, Sophia revealed her daughter’s default look in the photo caption.